Using social media is a great way to boost your job search. Taking advantage of social media sites can help you find companies hiring. Use social media as part of your job search Here’s how to do it! 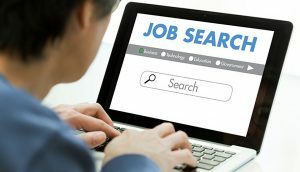 Commenting on the issues in your industry or field of work can itself be a path to a new job.Blogs are an excellent resource for job candidates looking for new opportunities. And linking back to your blog while posting on other sites can lead recruiters right to your virtual door. Social media can go both ways — you can tell hiring managers about yourself, but you can also use it to learn about companies you’re interested in. Following a company on social media can give you an inside look into a its culture, clients and work, says Lauren Maiman, owner of the Midnight Oil Group.